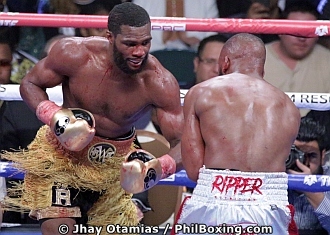 LAS VEGAS -- New Yorker Marcus Browne delivered a sterling performance by controlling and dominating former two-division world champion Badou Jack of Sweden on the main undercard of the Manny Pacquiao vs Adrien Broner megafight at the MGM Grand Garden Arena here Saturday night. Browne went home with the WBA Interim and WBC Silver light heavyweight titles. Browne won by unanimous decision with score of 117-110 from Eric Cheek, 116-111 from Max deLuca and 119-108 from Don Trella. Browne used good side to side movement and fighting in the middle of the ring to frustrate Jack all night connecting with jabs and combinations before backing out or the range as Jack could not find his distance all night. 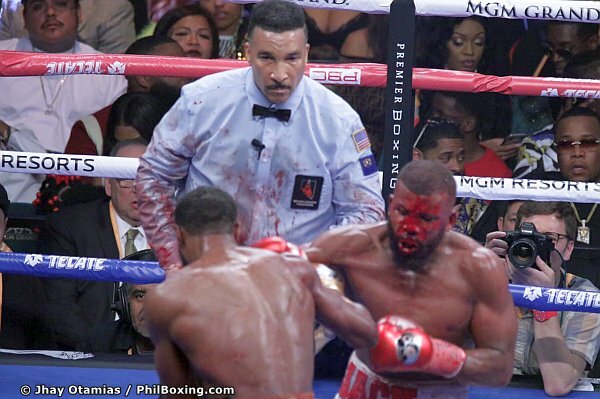 An accidental headbutt in round seven cut Jack's forehead and blood dripped throughout the remainder of the fight transforming Jack, nicknamed 'The Ripper' in a grotesque mask of red. Jack however displayed a huge heart to to finish the fight. Browne made true his promise during Thursday's presscon to dominate Jack and remained undefeated at 23 and 0. Jack, 35, absorbed his second career loss to go down at 22-2-3 with 13KOs. Next up... Manny Pacquiao vs Adrien Broner.